The Georgia Buddhist Vihara cordially invites you to participate this year religious activities during Vas period at the Georgia Buddhist Vihara. 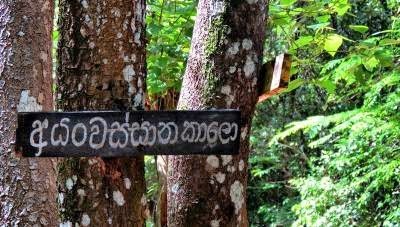 This yearKatina Ceremony will be sponsored by Weerasekara Family. 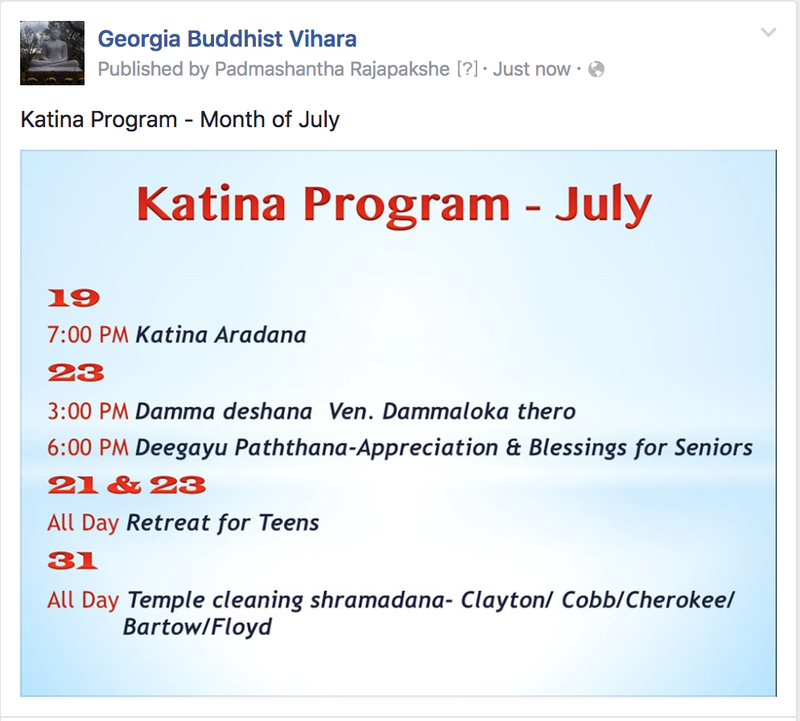 7/31- Katina Sharamadana: "Bodhu Bathiyayi-Shrama Sawiyayi" Sharamadana Campaign for Clayton, Cobb, Cherokee and Floyd County Devotees. The Vas Aradhana was started during the time of the Perfectly Enlighten One, Buddha. Full ordained monastic community (Sangha) all over the world continue, up till the present time to observe this Rains Retreat for three months – from the full moon day in July to the full moon day in October. During this time, they dedicate their time to spiritual activities such as practicing meditation and studying damma thoroughly. This gives an opportunity for lay community to take care of the monastics by offering them food, medicine, cloth, and shelter, and also to participate in spiritual activities more often. Article about Vas Season (Rains retreat).